The Homestead Assisted Living project, built for Dave Thueson, includes the new construction of a 46,000 SF assisted living facility. 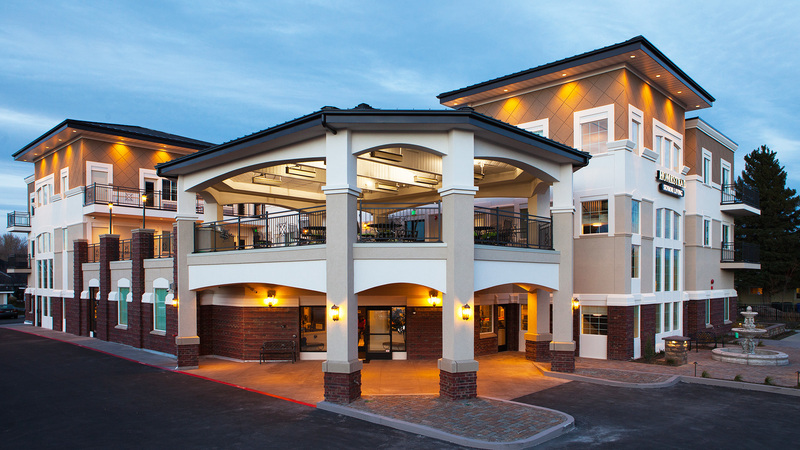 The new, three-story + basement, 42-unit residence provides affordable senior care for those in the Rexburg, Idaho area. The building was constructed with a conventional wood framed structure, brick and EIFS exterior and upscale finishes throughout the interior of each unit and throughout the common areas. The facility features a 6,000 SF outdoor covered patio which is situated over a covered driveway. The facility includes a full cafeteria-style kitchen and many common recreation, relaxation, and fitness areas.